You don't have to go to the city to find interesting things. This morning a local animal welfare charity had a sale underneath the Old Grammar School here in Market Harborough. And I bought a DVD from them. It was the 1952 film The Voice of Merrill, which stars Valerie Hobson and James Robertson Justice. With it came a catologue from its publisher, Odeon Entertainment. As you will see from their website, they specialise in reviving British films that are so obscure that even I have never heard of them. 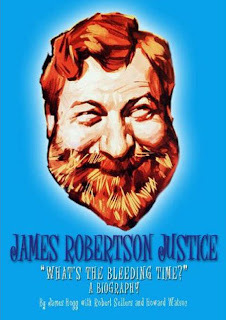 Talking of James Robertson Justice, here is a plug for James Hogg's biography What's the Bleeding Time? The website says the book is sold out, but no doubt you could find a secondhand copy. This week's carnival can be found on Liberal Conspiracy and is brought to you by James Graham. Next week the carnival will alight here (hem, hem) at Liberal England. It should be posted some time on Friday evening. Please nominate any blog postings about civil liberties that catch your attention before then by using the form on the carnival's home page. We have already written about Giles Clarke, the chairman of the England and Wales Cricket Board, twice this week. On Wednesday we reported his far-fetched claim that he had received 9000 supportive e-mails over the Allen Stanford affair. Yesterday we reported that the Guardian had printed a correction saying that Clarke's claim that the ECB had taken external advice from KPMG on a deal proposed by Stanford was untrue. Two years ago, when I compiled a BBC Newsnight piece on cricket, I was very impressed what was being done in places like Coventry to introduce youngsters to the game and since then, the ECB has, at every opportunity, made much of the fact that one of the beneficiaries of its Stanford involvement would be Chance to Shine. That point was made in November 2008 during the Stanford match and earlier this week Giles Clarke, in interviews following his re-election as ECB chairman, said some of the money received from Stanford had already gone to the scheme. However, a spokesman for the charity has now told me that no money has been received and I understand they are seeking clarification from the ECB as to what exactly Clarke meant. Then it hits him. He is no longer a Conservative. As the scream rises in his throat, he remembers that in June 2007 he crossed the floor. He recalls the statement Labour’s spin doctors wrote for him. It said Gordon Brown was “a leader I have always greatly admired ... who has a towering record, and a clear vision for the future of our country which I fully share". He bangs his head on his desk. It is not a dream. On Monday he managed to forget even while he was at the dispatch box. Answering questions as under-secretary of state for defence, he referred to the Labour MP Stephen Hepburn as “the honourable gentleman”. How the Tory benches laughed! Davies had to correct himself. Hepburn is now his honourable friend. When you add to all this the current opinion polls, Oscar Wilde’s verdict on the death of Little Nell comes to mind. Considering Davies’ current predicament, it would take a heart of stone not to laugh. But quite what this government is seeking to achieve in Afghanistan is one of the great mysteries of our age. If you can’t raise question in the Commons, there is little point to the place. Royal Bank of Scotland practices (sic) the highest standards of corporate governance - or so its shareholders were told when the bank published its 2007 annual report. Now is the chance to prove it. The near-8 million pound increase in Sir Fred's pension pot must have been sanctioned by the non-executives on the remuneration committee. These are the people to ask. True only one remuneration committee member continues to sit on the RBS board - former UBS investment banker, Colin Buchan. But the others can still be held to account. They include former chairman Sir Tom McKillop, Janis Kong (a director of BAA), ex-Aviva boss Bob Scott and Goldman Sachs bigwig Peter Sutherland. If the remuneration committee breached its own guidelines, the shareholders should seek restitution from the non-execs involved rather than the hapless Sir Fred. He is simply a beneficiary of their negligence. This would establish the sound principle of board responsibility and would also demonstrate that the government was behaving like a rational owner. What's more, there is even a chance of getting the money back. Sutherland alone is probably good for 8 million pounds and there is probably indemnity insurance in the wings. Wendy Richard died today. I am not an EastEnders fan (though June Brown is a national treasure) so I shall remember her as Miss Brahms from Are You Being Served? Before that I have the vaguest recall of her being in a sixties BBC soap opera called The Newcomers. And, as long ago as 1962, Wendy Richard featured on a number one record: "Come Outside" by Mike Sarne. The Liberal Democrats today published their Freedom Bill, designed to "roll back the draconian laws passed by successive Labour and Conservative administrations". You can read more about it on the party's Freedom Bill website. Scrap ID cards for everyone, including foreign nationals. Ensure that there are no restrictions in the right to trial by jury for serious offences including fraud. Restore the right to protest in Parliament Square, at the heart of our democracy. Abolish the flawed control orders regime. Renegotiate the unfair extradition treaty with the United States. Restore the right to public assembly for more than two people. Scrap the ContactPoint database of all children in Britain. Strengthen freedom of information by giving greater powers to the information commissioner and reducing exemptions. Restore the public interest defence for whistleblowers. Prevent allegations of "bad character" from being used in court. Restore the right to silence when accused in court. Prevent bailiffs from using force. Restrict the use of surveillance powers to the investigation of serious crimes and stop councils snooping. Restore the principle of double jeopardy in UK law. Remove innocent people from the DNA database. Reduce the maximum period of pre-charge detention to 14 days. Scrap the ministerial veto that allowed the government to block the release of cabinet minutes relating to the Iraq war. Require explicit parental consent for biometric information to be taken from children. Regulate CCTV following a Royal Commission on cameras. Yesterday we gave Giles Clarke, chairman of the England and Wales Cricket Board, our prestigious Unbelievable Claim of the Day Award after he told the BBC he had received 9000 supportive e-mails over the Allen Stanford affair. A report quoted Giles Clarke, chairman of the England and Wales Cricket Board, saying the ECB had taken external advice from KPMG on a deal proposed by Sir Allen Stanford. He was mistaken; the ECB advises that KPMG was not consulted on the proposal. Last month I recommended the many recordings of Bryan Magee's interviews with philosophers to be found on Youtube. One interview not to be found there is the one with Ronald Dworkin about political philosophy from the 1978 series Men of Ideas. Those words were spoken more than 30 years ago but still sounds vital and urgent today. Can anyone recommend a liberal theorist who has made progress in this direction? I am not easily shocked, but really. Sir Fred Goodwin, the former chief executive of Royal Bank of Scotland, is already drawing a pension of £650,000 a year, despite only being 50. The BBC has learned that the pot that generates his pension is worth £16m. An interesting point is that Goodwin recently told the Commons Treasury select committee that: "My pension is the same as everyone else in the bank who is in a defined benefit pension scheme. It is determined in the same way as anyone else." This appears not to be true. "The company is taking further legal advice in respect of certain aspects of Sir Fred Goodwin's contractual arrangements and continues to discuss the position with UKFI." UKFI is UK Financial Investments, the Treasury offshoot that manages public stakes in the banks. Ruaraidh Hobson has been sharing his experiences of vegetarian mock duck. I set off with the attention of having some time in central London and going on to the party afterwards. But the day was so grey and miserable, and I was so uninspired, that I ended up going to the party quite early and promptly tucked into the red wine. During the afternoon someone arrived with some of that same vegetarian mock duck for the barbecue. "Ah," I said, "la mallard imaginaire". Which, I hope you will agree, was quite witty. The trouble is that I had drunk so much wine that it seemed the funniest joke ever and I spent the rest of the evening repeating it. It think it had paled with some hearers by the 23rd repetition. "I've had literally thousands (of messages of support), my blackberry has broken down and I've had over 9,000 e-mails saying 'Don't pay attention'." Liberal England says: Come off it. If you think this has dragged on, just wait until Lord B chooses his XV and reserves to tour Down Under this summer. So there you have it: Lord Bonkers’ finest XI. Let us not, however, forget the contribution that many make from beyond the boundary rope. I think, in particular, of Meadowcroft’s sterling work as groundsman, of Miss Fearn’s delicious teas and of the Well-Behaved Orphans who swarm up and down the ladders all day to work the scoreboard. With their help, and that of our trusty scorer Mr Bernie Madoff, I have no doubt that this team would be hard indeed to beat. The Tories' Dominic Grieve huffed a great deal but was torpedoed by derision when he eventually said he agreed with Mr Straw's decision. A steelier, stiffer speech came from the Lib Dems' Rumpolian David Howarth, who said that we weren't interested in knowing which Cabinet ministers said what. We were interested in knowing whether or not there had been ANY discussion of the war decision. This was about 'a momentous, controversial and disastrous decision to go to war and the collapse-of Cabinet Government under Mr Blair,' said Mr Howarth. Devastating. "Rumpolian" is a pleasing adjective, and a Google search suggests it is catching on. I shall start using it myself. Yesterday the Shropshire Star reported that Virgin Trains is planning a new service from Shrewsbury to London. It would call at Wellington and Telford before going via Wolverhampton, Walsall and Nuneaton. The Nuneaton stop means that I could catch it there and get to Shrewsbury without having to change at Birminghan New Street. (I used to change at Coventry to get there in the days when there were direct services from Euston to Shrewsbury and from Leicester to Coventry.) But I couldn't picture the route it will take across the West Midlands. The Sutton Coldfield Observer makes it clear that the trains would make use of the freight-only line that runs through Sutton Park. I lived in Sutton Coldfield for a year in the early 1980s and discovered the old Sutton Park station on one of my walks. 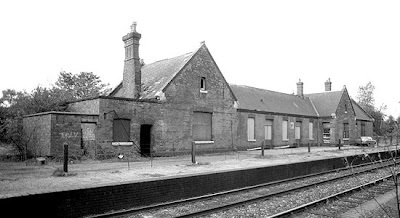 It had been closed to passengers since 1965 but the station buildings were in use as a Royal Mail depot. Rails Round Birmingham (thanks for the photograph - I have a similar one of my own somewhere) reports that the station was demolished about a year ago. The Observer report suggests that the Shrewsbury trains could stop in Sutton Coldfield, but they would have to build a new station either at Sutton Park or nearer the town centre. Sutton Park itself is also well worth a visit. 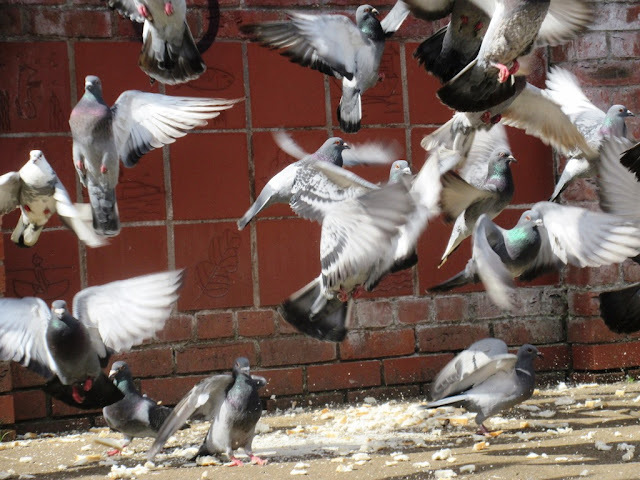 The Sutton Coldfield Natural History Society claims in is the largest urban park in Europe. When David Davis resigned as shadow home secretary to fight a by-election there were those who saluted him. I was not one of them. David Cameron yesterday downgraded the Tories' commitment to civil liberties when he declared that the sole focus of the Home Office under a Conservative government would be to tackle crime. In a sign that the party is distancing itself from the era of David Davis, the former shadow home secretary who resigned over the government's 42-day detention plan, the Tories pledged to introduce a 21st-century alternative to "a clip-round-the-ear" policing. Underlining the party's tougher approach, Cameron issued a blunt message to wayward children. "It's the Conservatives you're dealing with now," he said. "You're not going to get away with it any more." Cameron made his remarks as he introduced Chris Grayling, who was making his first speech as shadow home secretary. Grayling made clear that civil liberties would not be one of his priorities when he said: "If I am home secretary after the next election, my job is very simple - to be tough on crime." Will anyone defend Davis now? 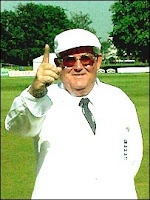 Though his chief contribution was made pulling the heavy roller, Dobbin was always happy to turn out if we were a man short and once played out the final over to secure a draw against Mebyon Kernow at St Austell. This week's selection of the best in British blogging can be found at Redemption Blues. For 30 years I have been travelling to unfree places, from East Germany to Burma, and writing about them in the belief that I was coming from one of the freest countries in the world. I wanted people in those places to enjoy more of what we had. In the last few years, I have woken up - late in the day, but better late than never - to the way in which individual liberty, privacy and human rights have been sliced away in Britain, like salami, under New Labour governments that profess to find in liberty the central theme of British history. "Oh, these powers will almost never be used," they say every time. "Ordinary people have nothing to fear. It affects just 0.1%." But a hundred times 0.1% is 10%. The East Germans are now more free than we are, at least in terms of law and administrative practice in such areas as surveillance and data collection. During the Cold War years the West used to pride itself that artists from the Soviet Union were welcome here if they were allowed to travel. Leading figures from the art world, including Antony Gormley and Nicholas Hytner, have launched a campaign to reverse stringent visa controls which they claim are preventing top foreign musicians, actors and artists from visiting Britain. They say that immigration laws introduced last year are restricting artistic freedom and have called on the Home Office to review them. One example they give is that of the virtuoso Russian pianist Grigory Sokolov, who cancelled what was to be his second performance in this country at the Southbank Centre in London when he could not provide the documents required for his planned visit in April. Artists must now not only show proof of their identity, including fingerprints, but also show they have an established sponsor happy to take full financial responsibility for them and to vouch for all their activities while on British soil. Small organisations must pay a fee of £400 to become an official "sponsor", while larger groups must pay £1,000. There are links to more information about the campaign against these laws on the Manifesto Club site. Above all it is the dishonesty of the this government that stick in your throat. The boom of the later Blair years was built on cheap labour from Eastern Europe, yet rather than admit this Labour harms our cultural life because it thinks it has to be seen to be tough on foreigners. On Saturday this blog carried the news that an ostrich had been knocked down and killed near Ludlow. A West Mercia Police control room spokeswoman said: “The ostrich came out of nowhere and collided with a vehicle. Minor damage was caused to the car, but sadly the ostrich died. “It is believed the ostrich came from a local farm or residential property. So if anything, the mystery deepens. With his fuzzy hair and 100mph balls, Philip Dylan Willis was a fearsome sight for any batsman and later became MP for Harrogate and Liberal Democrat education spokesman. After a particularly destructive performance, I once suggested that I should fetch him a cup of tea whilst he put his feet up on the pavilion balcony and watched our batsmen knock off their meagre target. It was typical of the man that he should decline my offer on the grounds that this would constitute a “two-tier service”. Last week I chose Itchycoo Park by the Small Faces because I had named it as one my three favourite songs when interviewed by Mars Hill. The Kinks' Waterloo Sunset has already been featured, so this week I am chosing the third of those songs: Paper Sun by Traffic. The singer is Steve Winwood, with Dave Mason is on sitar. And you don't get videos like this any more. It shows the four members of the group (completed by Chris Wood and Jim Capaldi) looking round the Horniman Museum in south London. As I wrote when discussing another Traffic song, they are one of the few bands you could imagine going round a museum. Later. It is not the Horniman but the Powell-Cotton Museum at Quex Park in Kent. Even later. No, it's the Musée Royal de l'Afrique Centrale in Brussels. Really. Things took a turn for the worse in late 1997, when then-puppy Buddy, a chocolate retriever, arrived. Relations between Socks and Buddy were cool from the beginning. "I'm trying to work that out," Clinton joked at the time. "It's going to take a while. It's kind of like peace in Ireland or the Middle East." There are many clergymen who have achieved eminence at cricket; one thinks of David Sheppard, Andrew Wingfield Digby and Archbishop Makarios. Funnily enough, the Revd Hughes is not one of them. When I appointed him to the living at St Asquith’s upon the assumption that he was the bright-eyed, bushy-tailed Middlesex opening bowler who had performed well for me on many occasions. He turned out to be quite another chap. I have never held this against the Revd, but it is the other fellow who makes my XI. if centrally planned economies are a bad idea, how come centrally planed companies are a good one? Because he regards living as first and foremost a process of problem-solving he wants societies that are conducive to problem-solving. And because problem-solving calls for the bold propounding of trial solutions which are then subject to criticism, he wants forms of society which permit of the untrammelled assertion of differing proposals, followed by criticism, followed by the genuine possibility of change in the light of criticism. Regardless of any moral considerations (and it is of the highest importance to grasp this) he believes that a society organised on such lines will be more efficient at solving its problems, and therefore more successful at achieving the aims of its members, than if it were organised on other lines. The common notion that the most efficient form of society, in theory at least, would be some form of dictatorship, is on this view utterly mistaken. Chris argues that the Royal Bank of Scotland was organised like one of these inefficient dictatorships "complete with the suppression of dissent and cult of personality. And look what happened". Prime suspect among the bankers behind the meltdown is Sir Fred Goodwin, former chief executive of Royal Bank of Scotland. Goodwin, nicknamed “Fred the Shred” for his brutal cost-cutting, was an autocratic and fearsomely controlling boss. He even set dress rules for fellow executives that included wearing ties with RBS logos. At Goodwin’s “morning prayers”, where he delivered decisions and rarely accepted dissent, he pursued an ambitious expansion strategy. He had a reputation as a martinet who was difficult to challenge. An insider said: 'He had an iron grip on the company. Any alternative plan or idea was rejected by those close to him on the basis that "Adam wouldn't like it".' There was no feedback. He surrounded himself with 'yes men' and Northern Rock ended up with people in senior positions who were not fit for purpose. The company raced on, brushing aside worries about rising interest rates (which might leave its customers unable to pay their monthly mortgage) and a faltering housing market (which could drop them into negative equity). Applegarth rode roughshod over the bank's board of directors, who lacked the confidence or ability to call a halt to this imprudent expansion. 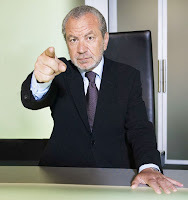 It follows that the macho view of business propagated in popular television programmes like The Apprentice and Dragons' Den is harmful. Liberals should support the establishment of more cooperative forms of organisation - as indeed we used to do. Perhaps there are situations - a ship at sea, a sports team -where dictatorship is necessary. But even then, challenging authority can lead to the elimination of errors. Fred Goodwin's fondness for the right sort of tie reminds me of Ron Waldron. At the start of the 1990s he was the coach to the Welsh national rugby union team. He tried to duplicate the tactics - fast, lightweight forwards; lots of tapped penalties - that had gained him success at Neath. But he found that this approach left his team hopelessly outgunned, against England in particular. Waldron also introduced lots of petty dress regulations. One evening the centre Mark Ring came down for dinner at the team hotel and was accosted by him. "Wrong tie," said Waldron, jabbing him in the chest. "Wrong coach," said Ring, jabbing him back. Ron Waldron was sacked shortly afterwards. James Graham and I have both been interviewed recently by Mars Hill. Among Liberal Democrats I admire James Graham’s Quaequam Blog! for his aggression on behalf of what can be a very herbivorous party even when I do not agree with his views. The Shropshire Star tells us that David Morton has been refused permission to hold a folk festival at Wentnor. Not much of a story, you will say, even if this is the village where Archbishop Tutu once had lunch. 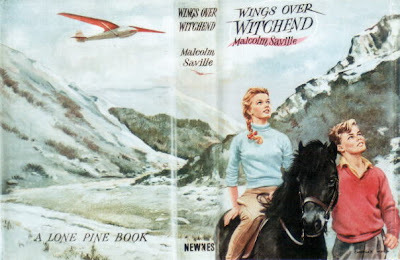 It's just that David Morton was the captain of the Lone Pine Club in the adventure stories that Malcolm Saville set in the Shropshire hills. Between the first Lone Pine book in 1943 and the last in 1980, he aged from 14 to 18. For most of the series he was 16. David Morton aged sixteen was elected captain of the club when it was first founded ... He is a good leader but steady rather than impetuous and never loses his head in a crisis. When I was a child I assumed I would feel that grown up when I was 16. I didn't. And to be honest, I don't feel that grown up now. Thanks to John Allsup for the illustration. It shows David Morton with Peter (she's a girl) and Sally the pony. Young people did not feel the cold in 1956. Earlier this week I discussed the spat and subsequent making up between Alex Hilton of Labourhome and Derek Draper of Labour List. Recess Monkey tells us that Alex has contracted bacterial meningitis and been admitted to hospital. He is currently in isolation ward but should be moved to a general ward in the next few days. I wish him a swift recovery. Meanwhile Labour List has linked to one of my Calder's Comfort Farm columns for the New Statesman. (You may recall it was recently discontinued as part of the magazine's innovative new media strategy of commissioning no blogs or columns for its website.) It was the one where I laughed at the claim by Daniel Kawczynski, Tory MP for Shrewsbury, that Otis Ferry is being held as a political prisoner. I can bear these sufferings, Alexei Nikolaevich, as long as no one ever compares me with Otis Ferry. An ostrich was killed today after being struck by a car as it ran loose on a busy Shropshire road. The large flightless bird was spotted on the A49 at Ludlow, at about 1.30pm. My agents are investigating this story for you. Every side needs a seamer who is prepared to bowl into the wind or take a spell when the ball is not swinging or the opposition is on top. Nancy was never afraid of hard yakka. I missed the news when it was announced, but the writer Edward Upward died a week ago at the age of 105.
was a leading figure among the Oxbridge generation of Thirties writers, whose early work was described by Stephen Spender as representing a “further peak” beyond W.H. Auden and Christopher Isherwood. Upward later career never began to achieve enjoyed by his contemporaries. He sacrificed his literary gifts to Communist orthodoxy and, like many Marxists, spent his life teaching in private schools. 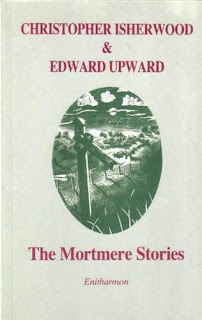 in 1994 Upward enjoyed a literary revival at the age of 90 when three parallel works - a revised edition of Journey to the Border, a first collection of the original Mortmere Stories with Isherwood, and a new volume of stories, drily titled An Unmentionable Man, were issued by Enitharmon Press. This resurgence was latterly sustained by three further short-story collections from Enitharmon: The Scenic Railway (1997), The Coming Day (2000) and A Renegade in Springtime (2003), as well as a memoir each of Auden (Remembering the Earlier Auden, 1998) and Isherwood (Christopher Isherwood: Notes in Remembrance of a Friendship, 1996), his co-conspirators from the 1930s. In 2005, he was awarded the Benson Medal of the Royal Society of Literature and was elected a fellow of the society. At the close of Upward's long and difficult career, it is curious to reflect that half of his published titles appeared in the final 15 years of his life. And I must find someone else to head my list of people you probably think died years ago but are really still alive. It’s half term at Westminster, so let’s report a story from the USA. Two judges have pleaded guilty to accepting more than $2.6 million in bribes from a private youth detention centre in return for giving hundreds of youths and teenagers long sentences. Soon, no doubt, judges Mark Ciavarella and Michael Conahan from Luzerne County, Pennsylvania, will be unwigged (or whatever happens to corrupt judges) and find themselves in the hoosegow. But their actions have wider importance because they are the logical outcome of allowing the profit motive into the judicial system. As Rumpole used to remind us, a great many comfortable professional careers are built on the backs of Britain’s criminal classes. But treating Crime Control as Industry, to quote the title of Nils Christie’s 1993 book, is dangerous. Only rarely will those working in or for any industry say that ... we are big enough, we are well established, we do not want any further growth. An urge for expansion is built into industrial thinking, if for no other reason than to forestall being swallowed up by competitors. It follows that once commercial interests are allowed into the system, there will be pressure for more prisons to be built. And to find the prisoners to fill them. Which is why teenagers in Wilkes-Barre, PA, found themselves banged up for trivial offences like blacking someone’s eye in a playground fight or setting up a MySpace page critical of a teacher. But Ciavarella and Conahan were only taking the commercialisation of crime control to its logical conclusion. A couple of weeks ago I quoted an eloquent speech on the need for reform of the Commons and Lords, attributing it to David Howarth. It was in fact made by David Heath. Apologies to all. Speaking as someone who joined the Liberal Party in 1978, it is wonderful that we have so many MPs that you get them confused. A good wicketkeeper is the heart of any cricket team and I am always on the look out for a good prospect. When he was first elected for Hereford I asked some people I knew there: “Can Keetch catch?” When I was answered in the affirmative, I knew I had my man. Journalists at the Shropshire Star and its associated weeklies have voted in favour of industrial action over proposed compulsory job cuts, the union said today. In a ballot of National Union of Journalists members at the titles, 58 per cent said they were in favour of strike action and 85 per cent in favour of some form of industrial action short of a strike. I am with you, brothers. I don't want my favourite newspaper to decline in quality. More at Hold the Front Page. Steve Hollands, council cabinet member for culture and sport, said: "It's always been considered a little odd that Croydon's tourist information centre should have so much emphasis on places that you can visit by getting away from Croydon rather than focusing on what's actually available locally. It doesn't seem odd if you've been to Croydon. While government ministers and banking executives feature at the top of most people’s current hit-lists, the Liberal Democrats’ very rational Treasury spokesman, Vince Cable, can seemingly do no wrong. Cable’s measured approach to the economic meltdown has made him a popular choice to be Chancellor in a potential coalition government. So immune has he become from the public’s bile that the theatre impresario Clive Conway has booked him to appear in a series of one-man shows. Cable will make his debut appearance at the Yvonne Arnaud Theatre in Guildford next month with a 45-minute talk about the state of the economy, as well as more general musings about his “life and times”. It happens that I am invited to hear him speak this evening and, though I arrive at the Hall in good time after the customary stiffener, I find queues snaking around the building. Cable arrives and is hustled into the building by a protective phalanx of policemen as the crowds try to rip off a piece of his clothing. Unfortunately, it is hard to hear his speech because the young ladies at the front of the audience insist upon screaming all the way through it. The result is that his observations on the finer points of the marginal propensity to consume and so forth are quite lost. He now needs to take himself more seriously in order to persuade others to take him more seriously. He has a Westminster seat to retain and will no doubt return to the Lib Dem front bench soon. Ant and Dec’s Saturday Night Takeaway returned to our screen last weekend to shine a little light on a very dark and dismal Saturday night’s viewing. As part of their regular “Ant vs Dec” feature, the boys are this week having to each produce a charity single, with the winner being the one with the most downloads by Saturday night. Team Dec are: Brian Conley, Liz McLarnon, Jonathan Wilkes, Yvette Fielding and Lembit Öpik. They are singing Wham favourite “Wake Me Up Before You Go-Go”. Still, it's all for charidee. The Daily Dust has the links if you want to listen and download the songs. An unprecedented case of judicial corruption is unfolding in Pennsylvania. Several hundred families have filed a class-action lawsuit against two former judges who have pleaded guilty to taking bribes in return for placing youths in privately owned jails. Judges Mark Ciavarella and Michael Conahan are said to have received $2.6 million for ensuring juvenile suspects were jailed in prisons operated by the companies PA Child Care and a sister company, Western PA Child Care. Some of the youths were jailed over the objections of their probation officers. An estimated 5,000 juveniles have been sentenced by Ciavarella since the scheme started in 2002. We speak to two youths sentenced by Ciavarella and to Bob Schwartz of the Juvenile Law Center. I have written more about this story here and here. I thought of Graeme Pollock, Everton Weekes and John Farquhar Munro, but ultimately there was only one choice to complete my middle order. Like all the best people - 36,902 and counting - I have signed up to be a beneficial owner of the field that Greenpeace has bought at Sipson near Heathrow. Now the charity has launched a new Airplot website devoted to this campaign and issued the video above. Alex Hilton: "You know I can't be angry with you for long, Derek"
The post on Labourhome I wrote about the other day - the one in which Alex Hilton appeared to be complaining that he had been threatened by Derek Draper - has disappeared without any explanation. It lives on for a while in the Google cache. Despite our differences we have worked together on our own projects and hitherto been supportive of each other. Having agreed to disagree on MessageSpace that will now continue. Telling Alex that hanging round with Paul Staines can damage your reputation is less of a threat than an observation. I left a lighthearted comment saying, "It sounds a bit Dinsdale Piranha to me: 'Nice blog you’ve got here. Pity if anything happened to it'.” It has yet to appear on the blog. Let's be charitable and assume that he is busy. Quite where to bat him was always a puzzle – he once came in at number ten with two of the three Beverley Sisters at nine and eleven – but there was no doubting that he was Terribly Clever and quite the best captain England have had. These days he works as a psychotherapist and is well versed in the theories of Clement Freud. The Scotsman reports Paddy Ashdown's comments on the Liberal Democrats and a referendum on Scottish Independence. You will recall that in the aftermath of the last Holyrood elections the Liberal Democrats refused to countenance joining an SNP-led administration because the Nats were committed to holding a referendum on Scottish independence. The former Liberal Democrat leader still believes that devolution has “killed off” attempts to break up the UK, but has argued that his own and other pro-Union parties should be more willing to take on the SNP head to head. “This is where I do disagree with my colleagues,” he said. “I don’t want to criticise their tactics following the (Holyrood] election (in 2007], but let’s put it like this: I would not have ruled out a referendum and I think it would have been a good time to hold it. The fact is that there has never been a majority for independence in Scotland. If a referendum was held, then the SNP would lose and would be finished. That distancing of ourselves from Labour has been achieved while both parties are in opposition and I can appreciate why Lib Dem MSPs would be reluctant to do a deal with the slippery Salmond. Even so, I still think Paddy's argument is essentially correct. Lib Dem Voice has a readers' poll on this question, so vote early, vote often. Inspired by Lord Bonkers, Hywel Morgan (on Lib Dem Voice) has selected a team who "represent the finest liberal traditions in the finest sport". A couple are thrilled to have back their cat, which disappeared almost a year ago. Felix, a three-year-old tom, went missing from his home in Church Langton, near Market Harborough, in March. Owners David and Kareen Hubbard posted pictures of him around the village in an attempt to find him, but without success. They had given up hope of seeing him again until they got a call from a vet last week. The cat had found a temporary home in Great Bowden, less than four miles. In recent months the English cricket authorities seem to have been planning the future of the game around the largesse of Sir Allen Stanford. Texan billionaire and cricket promoter Sir Allen Stanford has been charged over a $8bn (£5.6bn) investment fraud, US financial regulators say. The Securities and Exchange Commission said the financier had orchestrated "a fraudulent, multi-billion dollar investment scheme". The SEC said the fraud was "based on false promises and fabricated historical return data". it looks downright stupid - the cricketing equivalent of HBOS's investment policies. Respect to Tim Worstall who has been forecasting just this development for a couple of days. I just hope the West Indies' prize cheques didn't bounce. I know I am guilty of making Shropshire sound like a neverland of real ale and morris dancers, but in reality it has its share of desperate criminals too. An 18-year-old man escaped from Shrewsbury police station – by walking out of an unlocked door. But we can all sleep safely in our beds. He was recaptured. Something of a rough diamond, Violent was always an innovator in batting technique. One hears much nowadays of ‘pinch hitting’ and of Kevin Pietersen’s ‘reverse sweep’, but how many of today’s young people know that both were invented by my second selection? If a short leg fielder came too close or the umpire looked poised to give her out lbw to one that had straightened a bit, then they were likely to find themselves on the business end of one of these novel approaches. As Violent herself would have put it, she made the cricket pitch ‘her manor’ and anyone who tried to take her wicket was ‘out of order’ and ‘needed a slap’. Who is threatening Alex Hilton? Later. Alex Hilton's post has disappeared without explanation. Alex Hilton, who runs the Labourhome blog, has received "a threatening phone call from a Labour member upset that I have a relationship with the Tory blogger Guido Fawkes". Hilton and Paul Staines (who writes Guido Fawkes) founded the Messagespace advertising scheme for political blogs. And Staines is also a personal friend of Alex Hilton. I have been told that if I don't extract myself from Messagespace I will be painted as endorsing every offensive comment or article on the Guido Fawkes site, that of Devil's Kitchen, Iain Dale and every other right winger on the system. I have been told that I don't have Labour values by owning shares in Messagespace though, frankly, I feel more guilty about not checking where my tiny pension pot is invested. I have been told that there will be a campaign to rubbish me in the Labour Party and this will inevitably reflect badly on Labourhome. Who is making these threats? Another of our commenters, Neil Fraser, has put together the following list of advertisers on Paul Staines' racist website. Anyone who also feels that racism on the internet must be stamped out should also contact these companies. Ther (sic) are some e-mails below, as Neil says, do send in more. Let us know how you get on. I am watching the Channel 4 programme about the Kray twins and Bob Boothby. It has just mentioned that the Labour MP Tom Driberg was also part of their circle and that he had met the Krays at the East End premiere of the film Sparrow Can't Sing. The screenplay for Sparrows Can't Sing was written by Stephen Lewis, better knows as Blakey from On the Buses. 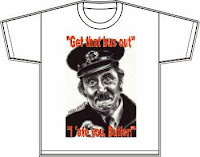 There is an interview with Lewis on an On the Buses fansite, but sadly it does not mention this film. T-shirt by Leon Garcia Designs. With his grey hair, glasses and catchphrase “Don’t panic, Mr Greig,” Steel raised our nation’s morale during its darkest hour – I refer, of course, to our humiliation at the hands of the Australian fast bowlers Lillee and Thomson. Steel’s obdurate forward defensive prod became a symbol of national resistance: we had lost our steam trains, seen our currency defiled, but we were not going to let them get another wicket before lunch. I shall pass over Steel’s subsequent leadership of the Liberal Party. Though I was one of the first to spot his potential as a batsman, it never occurred to me to invite him to captain the team. In an age when imperial warriors were better educated, if not better intentioned, than they are today, a Victorian warrior made a pun at which all future generations of Latin pupils were obliged to affect mild amusement. On capturing the Indian (now Pakistani) province of Sindh in 1843, Sir Charles Napier reported his triumph back to London with the single word "Peccavi", meaning "I have sinned". There will be no more Calder's Comfort Farm columns from me for the New Statesman. Apparently its cancellation is part of an innovative new media strategy that involves commissioning no more separate columns or blogs for the magazine's website. Still, as one door closes another shuts and all that. For the time being you can still read the columns on the Statesman website. Sometime Liberal candidate for Brighton, Banbury and Oxford, “C.B.” was a brilliant scholar and an accomplished performer in every variety of outdoor sport. He captained England at cricket and we lost not a single test match whilst he was at the helm. He played rugger for Blackheath and the Barbarians, and association football for England against Ireland in 1901, as well as playing for Southampton in the F.A. Cup Final. He also set a world long jump record that stood for 21 years. Fry was once offered the throne of Albania, and had he succeeded in convincing von Ribbentrop that the Germans should take up cricket then the history of the twentieth century would have been different indeed. 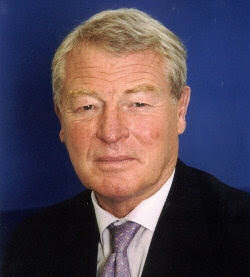 In short, Fry was the second most remarkable Englishman of his generation. I've got man flu, so no long essay this weekend. In my 20 questions for Mars Hill the other day I named my three favourite songs. And this was one of them. In the current Liberator, which is winging its way to subscribers even as we speak, Lord Bonkers picks his favourite XI of all time. When frost rimes the trees outside my Library window, I cheer myself by thinking of summers past and summers yet to come. Over the seasons many notable cricketers have turned out for me, and I shall devote a few pages of my diary to choosing the finest Lord Bonkers’ XI of all. Modesty dictates that I should not include myself, of course, but in reality I should be captaining the team, batting at number four and turning my googlies. The inadequacy of his report into the circumstances surrounding the death of David Kelly (it was forensically dissected by my old friend Norman Baker in his recent masterpiece) should not blind us to Hutton’s excellence as an opening bat. I recall a match against the Independent Labour Party at Worksop when, aided by a fighting 15 from Ray Alan and Lord Charles, he saw us home on a ‘sticky dog’. Seeing him stride to the wicket gave one much the same feeling of security that one feels nowadays when Vince “High Voltage” Cable gets up to speak in the House. An 85-year-old woman whose wartime fiance was killed when his bomber plunged into a Shropshire hillside has ensured that his memory is honoured on the 65th anniversary of the tragedy tomorrow. Sergeant Jack Brownhill was a 21-year-old wireless operator and air gunner in a Whitley bomber which crashed at Mytton Dingle, Snailbeach, on February 15, 1944, killing all five on board. The aircraft had been towing a glider which cast off and landed safely. The bookies have made Wales 5-1 on for tomorrow’s game, which is just ridiculous. It’s going to be a lot closer than many people think. You’ve got to remember that the best team doesn’t always win a rugby game and England will raise the level of their play to match their opponents, so last week’s game against Italy isn’t a necessarily an indicator of what will happen tomorrow. It’s going to be a very physical game and England will be very abrasive. They’re likely to play a spoiling game and Tindall will give them the opportunity to break through the game line. Meanwhile, Sackey, Cueto and Armitage are a real threat and are all capable of snatching tries at any time. But, if Wales step up the pace from the Scotland game and continue to improve in the set piece they should come out ahead, but it’s going to be a lot closer than most people are predicting. On Wednesday I reported that two Pennsylvania judges had been accused of taking bribes from a company that ran a juvenile detention centre in return for sending them plenty of inmates. It turns out the story is everything it seemed. Two judges pleaded guilty on Thursday to accepting more than $2.6 million from a private youth detention center in Pennsylvania in return for giving hundreds of youths and teenagers long sentences. "Your statement that I have disgraced my judgeship is true," Ciavarella wrote in a letter to the court. "My actions have destroyed everything I worked to accomplish and I have only myself to blame." The story goes on to explain that hen someone is sent to a detention centre, the company running it receives money from the county government to meet the cost of incarceration. So, prosecutors said, as more children were sent to their centre, PA Childcare and Western PA Childcare received more money from the government. So teenagers who came before the juvenile court in Wilkes-Barre were often sentenced to detention for minor offences. One 17-year-old boy was sentenced to three months' detention for being in the company of another minor caught shoplifting. The Constitution guarantees the right to legal representation in U.S. courts. But many of the juveniles appeared before Ciavarella without an attorney because they were told by the probation service that their minor offenses didn't require one. Marsha Levick, chief counsel for the Juvenile Law Center, estimated that of approximately 5,000 juveniles who came before Ciavarella from 2003 and 2006, between 1,000 and 2,000 received excessively harsh detention sentences. She said the center will sue the judges, PA Childcare and Western PA Childcare for financial compensation for their victims. "That judges would allow their greed to trump the rights of defendants is just obscene," Levick said. There is full coverage of this scandal at the Scranton Times Tribune site. And a good report in the New York Times too. Finally, a big hello to the anonymous commenter on my original post who mentioned the Wilkes-Barre variation of the Two Knights Defence. So says Niall Paterson on Sky News, reporting the station's poll on this year's most fanciable MPs. The Culture Show is using the theme from The Persuaders as background music. My House Points column from today's Liberal Democrat News. I wrote a little more on horses and drugs earlier in the week. On Monday MPs had the chance to question Jacqui Smith. Unfortunately, none asked the home secretary how she could justify nominating her sister’s spare bedroom as her main residence and claiming £116,000 (and counting) in second home allowance on the house in her Redditch constituency where her husband and children live. Instead they were angered by someone else. Professor David Nutt had published an article in the Journal of Psychopharmacology that said: “Drug harm can be equal to harms in other parts of life. There is not much difference between horse riding and ecstasy.” It also pointed out that riding accounts for more than 100 deaths a year in Britain. Outrage. Lobbed a prepared question by the creepy Keith Vaz, Jacqui Smith said she was “surprised and profoundly disappointed by the article” and had asked him to apologise to the families of the victims of ecstasy. For the Tories, Laurence Robertson announced that “the sport of horse riding provides discipline”. Surely the first time anyone has claimed the Turf sets a moral example for the rest of us? He went on, to his own amusement though possibly no one else’s, to tell Jacqui Smith she should inform Professor Nutt that “although he might be appropriately named” he is in the wrong job. It was left to a Liberal Democrat – Evan Harris – to stand up for science and academic freedom. Because this incident tells us something important about the government. New Labour came to power claiming it was interested in “what works” and not hamstrung by ideology. The truth, as Jacqui Smith demonstrated, is that to get on today you have to stick to a narrow range of acceptable views. Step outside it and you will be attacked. It happened to another academic who, in the early days of Tony Blair’s premiership, pointed out there was no evidence to support his enthusiasm for loading homework on to young children. Out in the real world people know that riding a horse can be dangerous. Competitive three-day eventing has had a terrible run of deaths – 37 fatal falls between 1997 and 2008. Of course, we should not underestimate the dangers posed by drugs either. If the horse has been taking ecstasy it can only make things more hazardous. I am the subject of Paul Burgin's latest "20 questions to a fellow blogger" feature on his Mars Hill blog. Calm down. Calm down. We all knew it was going to happen. At the Liberal Democrat Conference in September of last year Nick Clegg announced that he would be taking paternity leave when his wife has their next baby. And the child is due this month. It will be interesting to see if Vince Cable's return as acting leader will lead to a little of his personal stardust rubbing off on the party as a whole. Lib Dem strategists are perplexed as to why Mr Cable's performance has not resulted in more of a bounce for the party, but opinion polls regularly give him high ratings from the public. Of course, if the party does rise in the polls while Vince is in charge, that will lead to fresh problems. The press will be full of the suggestion that he should take over permanently. Still, it's nice to know that the party has "strategists". Courtesy of The Yorksher Gob. The good news is that Eric Clapton and Steve Winwood are playing 14 more concerts in June of this year. The bad news is that they are all in America. Oh well, there is always Youtube. Why is Chris Huhne acting as Jacqui Smith's human shield? Chris Huhne was on the Today programme this morning, defending the government's decision to ban Geert Wilders from entering Britain. He has just been on Channel 4 news doing the same thing. I think the government is wrong to ban him. You need only see Wilders' hairstyle to realise that he is a vain and silly man. The idea that his presence will be enough to incite violence against Muslims in Britain is ridiculous. Rather, the ban has given Wilders what he craves: publicity. This argument was put very well on Channel 4 by Maajid Nawaz. I wish they had been put by the Liberal Democrat representative. But even if you think Chris is right, you have to ask what he is doing working so hard to defend the government position. Let Jacqui Smith go on the radio and television to defend her actions and take the criticism. Don't act as her human shield. The fact that Smith has been nowhere near the media today suggests she realises hers was a pretty shabby decision. So why is Chris making her life easier? Thom and Max Evans were both schooled at Wellington College in Berkshire. So was Eric Arthur Blair, or George Orwell as he preferred to be known when he wrote "Down And Out In Paris And London". I shall remember this next time a journalist moans about bloggers. Later. I take it back slightly. According to Wikipedia, Orwell spent a single term at Wellington before going to Eton. They are met in Market Harborough by a record company executive and offered a contract. The Mark Five release a version of the Isley Brothers' Tango but are soon dropped by the label. There is a little more on the FAME website in a recent article about Nazareth. Do Australian soap operas cause multiple sclerosis? Sunday's Observer had an article suggesting that health campaigns to encourage people to avoid the sun , lest they get skin cancer, may be doing more harm than good. Because exposure to sunlight produces vitamin D in the body, and deficiency in that vitamin has been linked with the development of diseases like diabetes, breast cancer, prostate cancer and tuberculosis. The newspaper also cited new research suggesting that a lack of vitamin D can play a part in the development of multiple sclerosis. In 2007, the Department of Health revealed that up to one in 100 children born to families from ethnic minorities now suffer from rickets, a condition triggered by lack of vitamin D in which children develop a pronounced bow-legged gait. The disease once blighted lives in Victorian Britain but was eradicated by improved diets. Now it is making a major resurgence, a problem that has been further exacerbated in ethnic communities by women wearing hijabs that cover all of their bodies and block out virtually every beam of vitamin-stimulating sunshine. A major health campaign, offering dietary advice and vitamin D supplements has since been launched. But for many doctors, it is not enough. The nation's health service needs to re-evaluate completely its approach to vitamin D as a matter of urgency; establish new guidelines for taking supplements; and scrap most of the limits on sunbathing currently proposed by health bodies. I have always been puzzled at the speed with which concern about the sun and skin cancer swept enveloped Britain and was taken up by the Guardian-reading classes in particular. For most of the 20th century, the liberation of people - children in particular - from restrictive clothing and their exposure to the sun was seen as a thoroughly progressive cause. Just look at any propaganda for the National Health Service and the welfare state from the immediate post-War period. Why did things change so quickly in the 1990s? To find an explanation for the rise of concern about exposure to the sun, we have to look elsewhere. That rise took place in that odd period between the fall of the Berlin Wall and 9/11. Rather than congratulate themselves in living in a happy age, people looked for something else to worry about - hence the emergence of strange scares like the satanic ritual abuse of children and the millennium bug. Maybe skin cancer was another one of those. And we cannot ignore the rise of environmental concern - and in particular concern about man-made global warming - in the period. There was a widespread feeling that there was something wrong with the climate, and you heard people say that they "never used to burn like this". 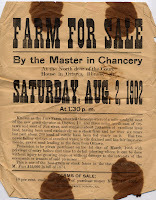 Hence people began to worry about exposure to the sun. The high incidence of skin cancer in Australia is the product of a high UV exposure in a population whose ancestors included many with pale, freckled skin and red hair. It should not be extrapolated to different populations living in sun-deprived climates. 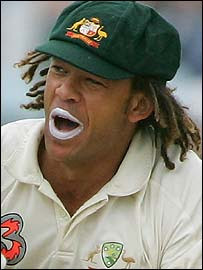 And, of course, things Australian were all the rage in the Britain of the 1990s. Their cricket team was sweeping all before them. Australian bars were opening everywhere. And Neighbours and Home & Away were on our televisions. If you doubt this, remember the rise of uptalk. This was the habit of raising their voices at the end of a sentence that many younger people acquired in the 1990s? It had the effect of turning every statement into a question? One theory is that this habit entered Britain's youth via Australian soap opera. If that did happen, then there is no reason why an exaggerated concern about exposure to the sun should not have come along the same route. Certainly, this BBC Cornwall webpage makes use of the language of the Australian Slip-Sl0p-Slap campaign. So maybe we should blame Kylie and Jason for some of our health problems? Chelsea and Jose Mourinho: "Come back, Shane!" Closed schools: Is it the fault of league tables?